Dr. Hearn, a North Carolina native, received his undergraduate degree in Biology from Elon College. Dr Hearn received his Doctor of Optometry from Pennsylvania College of Optometry in Philadelphia Pa.
Dr. Hearn began practicing in 1986. His office is located in Huntersville NC serving the Birkdale Community and Lake Norman area. 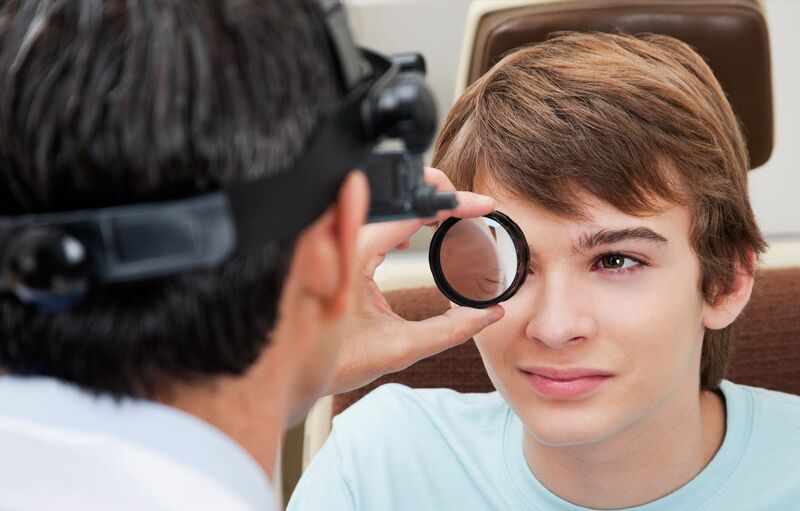 Dr. Hearn provides comprehensive vision care and excellent patient care through high quality performance and innovative diagnostic technology. He served as the President of the Piedmont Optometric Society and is currently a Clinical Examiner for the National Board of Examiners in Optometry. Dr. Hearn is a member of the Davidson United Methodist Church in Davidson, NC. He resides in Huntersville with his wife and 3 children. In his free time he enjoys waterskiing and snow skiing. Dr. Lupfer grew up just outside Atlanta, Georgia. She received her undergraduate degree in Mechanical Engineering from Georgia Tech and then went on to earn her Doctor of Optometry at the Illinois College of Optometry in Chicago, Illinois. Dr. Lupfer completed her residency training in Ocular Disease at the Baltimore VA Hospital in 2003. Dr. Lupfer practiced optometry at an ocular disease center in Baltimore and at a private practice in Crofton, Maryland for a year before relocating to Charlotte. She has been working with Dr Hearn at Lakeside Eye Associates in Huntersville since 2008. In her free time, Dr. Lupfer enjoys spending time with her family, reading, traveling and volunteering at her son’s school. Dr. Salazar was born and raised in Michigan. She attended Western Michigan University for her undergraduate degree in Biomedical Sciences with a minor in Chemistry. She moved to Memphis, TN to pursue her doctorate degree at The Southern College of Optometry where she graduated as a member of The Beta Sigma Kappa Honors Society. Dr. Salazar was an associate at a private practice in South Carolina, where she served as president of the local optometric society, before joining Lakeside Eye Associates in 2015. She enjoys focusing on family and pediatic eye care. Dr. Salazar is an InfantSEE provider, which offers complementary eye health and vision examinations for infants ages 6-12 months old. Dr. Salazar enjoys traveling the Carolinas, hiking, running, and staying active with her husband and two dogs. She is a member of Crossroads Methodist Church in Concord, NC where she volunteers regularly.